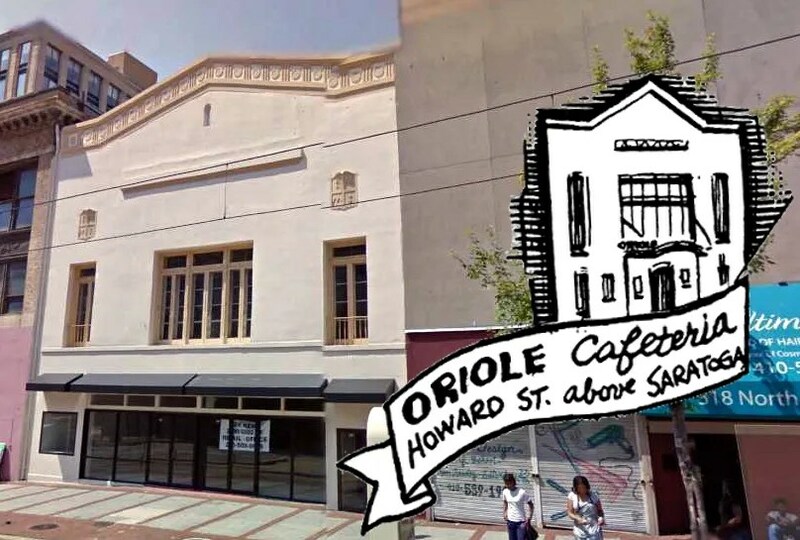 Baltimore’s Oriole Cafeterias still stand today, though you would probably never recognize them. Here they are, contrasted with original illustrations of the locations from 1947. The chain opened in 1922, with a fourth location at 22 Light Street. Going by city directories, this location didn’t last as long as others. The chain was defunct by 1975.
edit: The picture is of the Aurora Theatre. 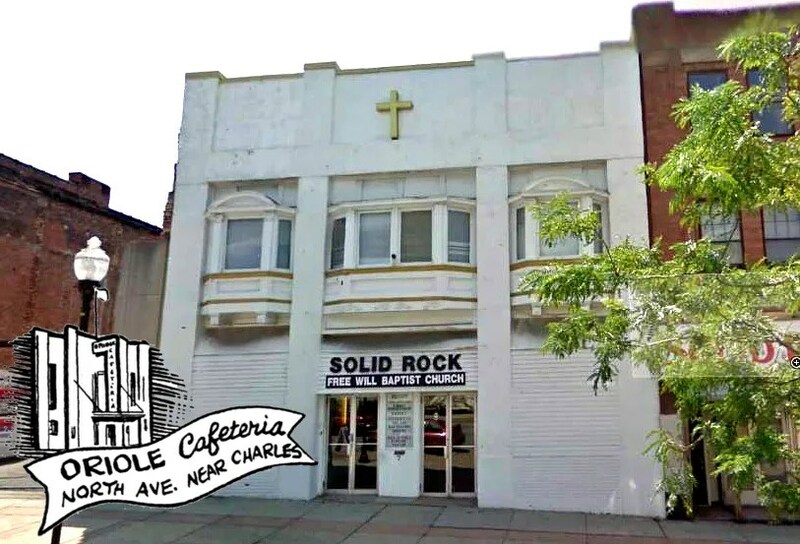 The Oriole stood directly to the left, a fragment of what remains of the building can be seen. It was originally the Peabody Theatre, which burned down in the early 1970s. More info. This entry was posted in Diners / roadside related, Diners/ restaurants and tagged 1930s, 1940s, Baltimore, baseball, bird, cafeteria, history, Oriole Cafeteria, restaurant, The O's, The Orioles by Spencer Stewart. Bookmark the permalink. 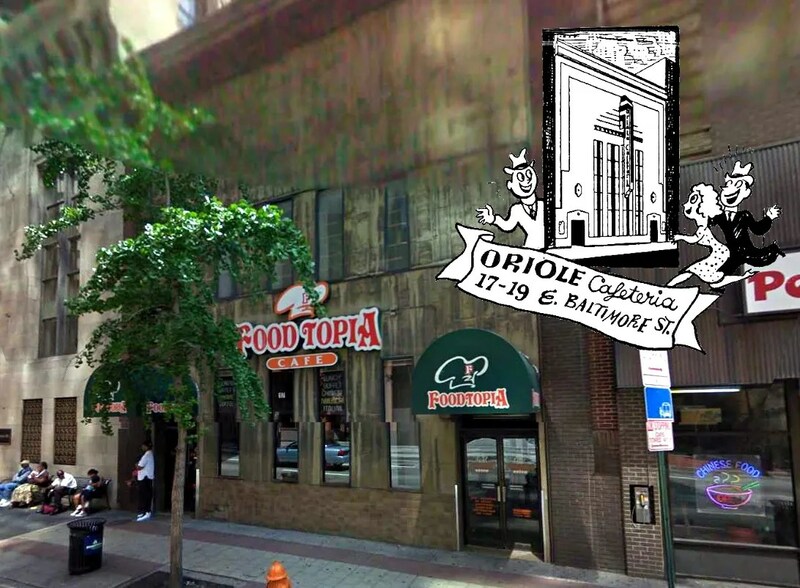 I am very familiar with these locations but had no idea of their Oriole cafeteria origins. Very interesting. How DO you find this stuff?? !